Exciting opportunities and pressing challenges are abundant in collegiate ministry, but the greatest challenge is the need for trained, experienced leaders who can grow shared ministry with their students. 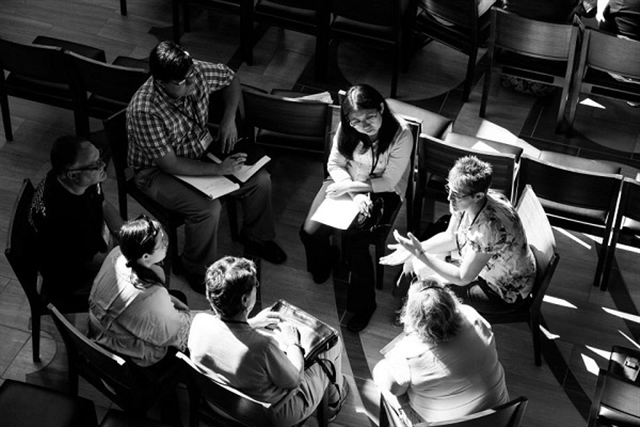 Prepare and Summer Institute in June at Emory University’s Candler School of Theology in Atlanta, Ga., aim to address that need by training, equipping, and building a network for new, seasoned or prospective collegiate ministers. The gathering for United Methodist collegiate ministry also provides a place to meet others in similar ministry and cultivate closer friendships through annual fellowship time together. “It is essential that we support our newest and emerging leaders by providing a training experience tailored to their unique needs. By creating an event that is dedicated to collaborative, mentor-based learning we hope to provide both the tools and the relationships needed to be effective in ministry. We also hope that, through our partnership with UMCMA’s Summer Institute, we can further widen the network of support and resources available to our participants,” said Michael McCord, the General Board of Higher Education and Ministry’s director of Campus Ministry Resources and Training. Prepare, sponsored by GBHEM’s Collegiate Ministries office, is an intensive, mentor-based training experience designed for leaders within their first five years of collegiate ministry and for those who are pursuing ministry with college students. Participants at the June 23-24 conference will watch mentor-created training videos ahead of time so that each 50 minute small group session can be devoted to collaborative learning focused on integrating the ideas into the participant’s context. 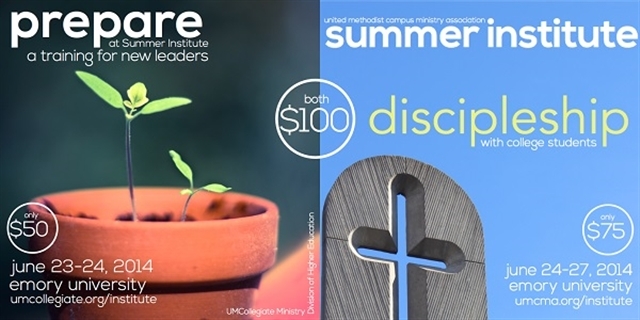 The United Methodist Campus Ministry Association now holds Summer Institute, June 24-27, annually instead of every other year, to provide more in-depth, focused training. This year's focus is discipleship. Rev. Narcie Jeter, director of the Gator Wesley Foundation and co-chair of UMCMA. Summer Institute leaders include Dr. Chris Kiesling, professor of Human Development and Christian Discipleship at Asbury Theological Seminary and co-author of Spiritual Formation in Emerging Adulthood: A Practical Theology for College and Young Adult Ministry. Four collegiate ministers will share ways they make disciples on their campuses. Those campus ministers are: Tim Wright, chaplain of Florida Southern College; Tim Moore, chaplain of Young Harris College; David Goolsby, director of Auburn Wesley Foundation; and Sheila Bates, director of Tuskegee Wesley Foundation. Register now for Prepare & Summer Institute. Collegiate ministers who register by May 5 will receive a $50 gift card toward resources for their particular ministry.